"I will come here again for any foot needs and would recommend to anyone else also." "Hats off to these fine surgeons and their dedication to patient success." "Dr. Myer fixed me up very quickly with excellent bedside manners. Thanks Doc!" "If you are looking for a podiatrist in Carrollton, Dr. Miller is your man!" 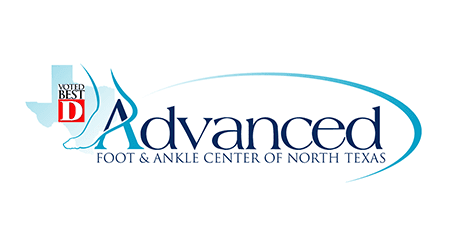 Welcome to the Advanced Foot & Ankle Center of North Texas, with offices in Carrollton, TX and Plano, TX, where we always strive to go above and beyond that which is needed to help you maintain your best foot forward. Dr. S. Rick Miller and Dr. Kevin D. Myer are podiatric physicians who are Board Certified by the American Board of Podiatric Surgery in Foot, Reconstructive Rearfoot, and Ankle Surgery, specializing in the medical and surgical treatment of the pediatric and adult foot and ankle. We offer services including treatment for ankle sprains and fractures, ankle surgery, foot surgery, ingrown toenail surgery, bunion surgery, nail and skin fungal treatment, and prescription orthotic devices. We also provide sports medicine therapy and treatment for foot fractures, foot pain, and flat feet. Our podiatric physicians collaborate to provide you with unsurpassed service due to their extensive training, education, and experience in the diagnosis and management of all foot and ankle disorders. Our patients feel confidence in the level of commitment shown by Dr. S. Rick Miller and Dr. Kevin Myer at Advanced Foot and Ankle Center of North Texas. As specialists, we are able to diagnose and treat your foot and ankle pain thoroughly and efficiently, and when possible, we make every attempt to utilize conservative means before pursuing surgical options. Surgery is only recommended if necessary, and with our considerable surgical experience, your procedure will be handled with precision and care. In addition to providing you with an accurate diagnosis and an effective treatment plan, we recognize the importance of educating you with the knowledge needed to prevent recurrence of your symptoms in the future. We will work with every step of the way to help you achieve and maintain the lifestyle you desire. From conservative treatment to reconstruction of traumatic injuries, we are here to serve you. 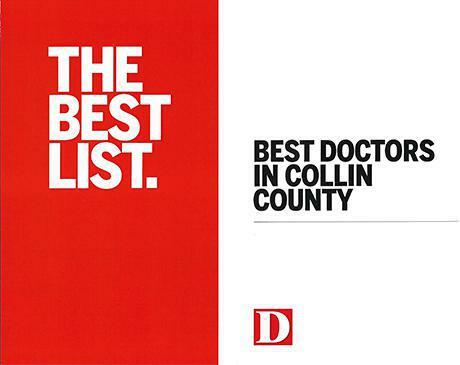 Voted Best Doctors in Collin County and Dallas in D Magazine! Now treating fungal nails, warts, and other dermatological lesions with state-of-the-art HyperBlue 1530 Laser! FDA approved for the treatment of various dermatological issues, the HyperBlue 1530 multi-use diode laser has achieved excellent results in many cases including removing warts, toenail fungus, skin lesions, and other soft tissue conditions. "It was my first time ever seeing a podiatrist, and I am glad it was Dr. Myer." "FINALLY found Dr. Miller who not only is the nicest guy you would every want to meet, but who actually figured out what was wrong and fixed my toe!!!" "This doctor did what five other podiatrists could not do, he figured out the problem with my foot and corrected it. " "Great doctor and seems to care about his patients, not just a number."